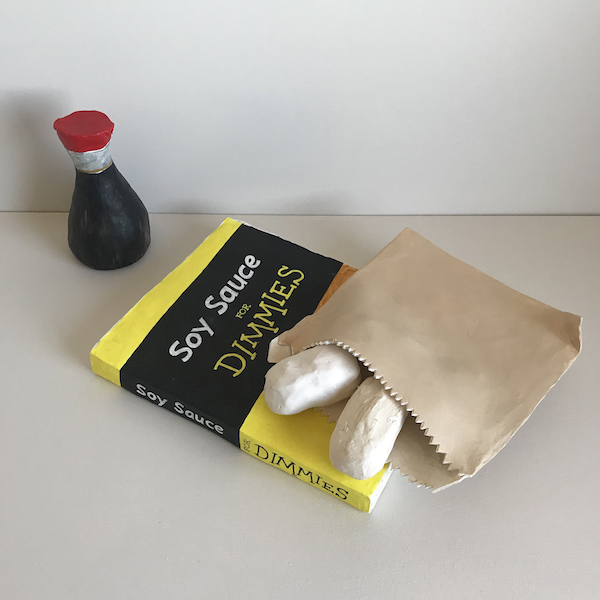 Kenny Pittock, Soy Sauce for Dimmies, 2019. Acrylic on ceramic. Courtesy: the artist and MARS gallery, Melbourne. Kenny Pittock has never eaten a Mars Bar. When Kenny was five his brother lost a tooth from biting into one and ever since then Mars has been a bit scary to him. 25 years later and Kenny’s now exhibiting a ceramic sculpture of a Mars Bar, which if you bit into it would probably also leave you missing a tooth. In his upcoming exhibition ‘Connector Pens Connecting’, Pittock presents 10 new ceramic sculptures which meander between the playful, the subversive and the serious. The works in this exhibition are all connected by the theme of connection.